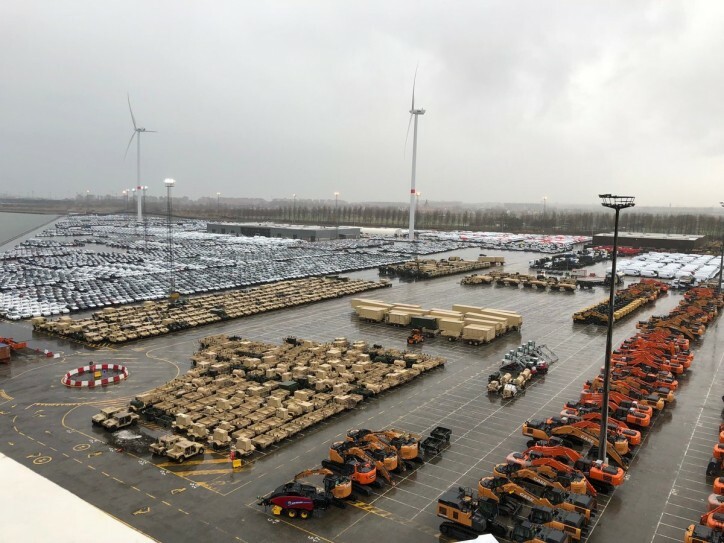 American Roll-on Roll-off Carrier’s (ARC) M/V Endurance discharged the company’s largest military move ever by volume – 270,000 square feet of cargo – from the American-flag fleet’s largest ro/ro vessel at the port of Zeebrugge. M/V Endurance offloaded over 1,500 units of military cargo – helicopters, rolling stock, and other support cargo – at the Wallenius Wilhelmsen terminal and another terminal in Zeebrugge, Belgium for use in support of Operation Atlantic Resolve. 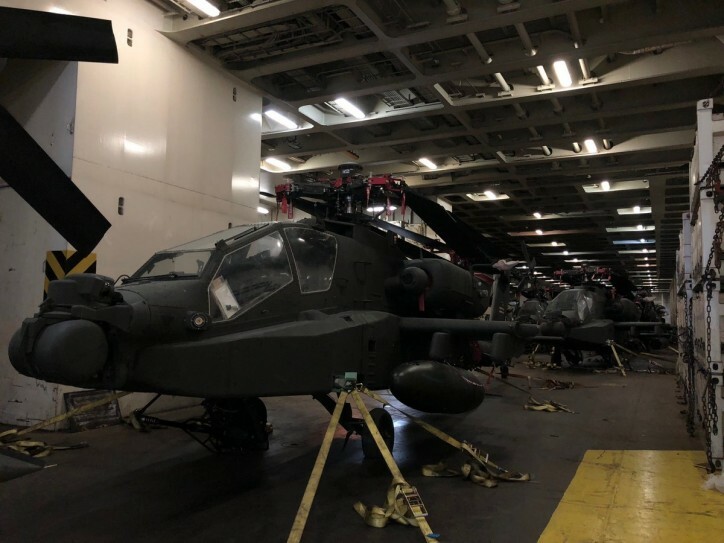 M/V Endurance carried the equipment for the 1st Combat Aviation Brigade (CAB) of the 1st Infantry Division from Fort Riley, Kansas. The 1st CAB will deploy in Germany and throughout eastern Europe and the Baltics for the next nine months. The 1st CAB will replace the 4th Infantry Division’s Combat Aviation Brigade. Operation Atlantic Resolve has been ongoing in Europe since 2014. “It was a great opportunity for ARC to partner again with the Wallenius Wilhelmsen Zeebrugge team. The fact that the same terminal was chosen again reflects the high quality of work done by the WW Solutions Zeebrugge team” said Brian Jones, ARC’s General Manager for Europe.